Air Canada is one of the most environmentally aware airlines out there and makes an effort not only to leave an ever-smaller carbon footprint, but also work actively to address environmental issues. 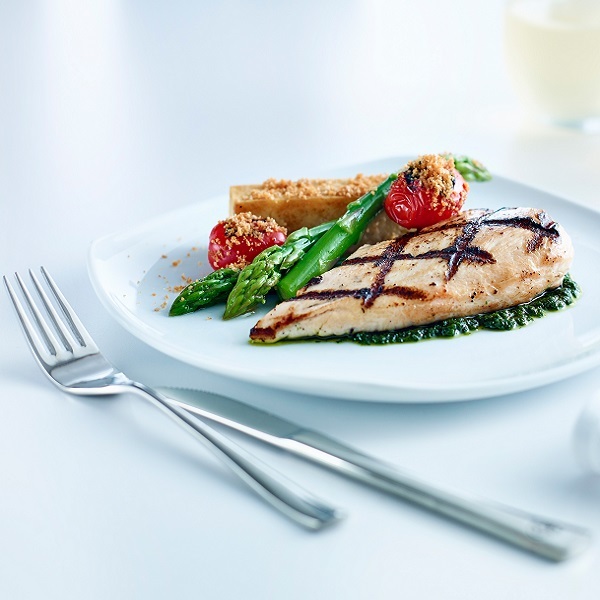 Browse an extensive selection of meals and order them ahead of your flight when flying business class. Air Canada is also dedicated to catering for various dietary requirements. 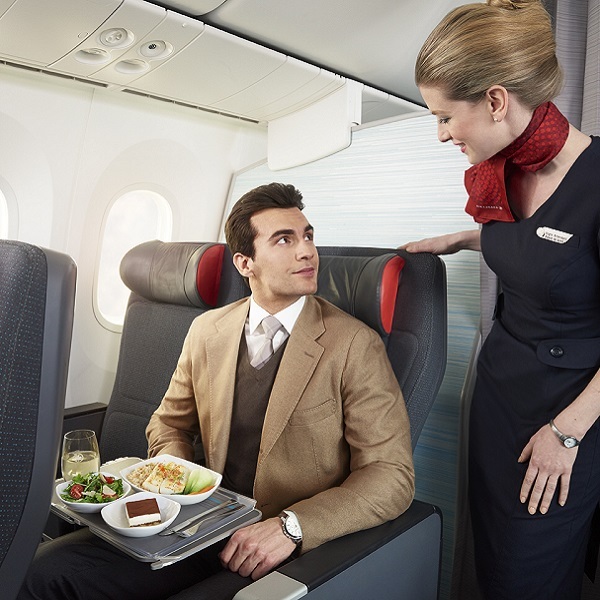 The Air Canada team prides itself on taking extra special care of all of their passengers, and will happily go the extra mile to ensure comfort during flights. Air Canada is Canada's largest domestic and international airline serving more than 200 airports on six continents. The national carrier for Canada is among the 20 largest airlines in the world and served close to 45 million customers in 2016. Air Canada provides scheduled passenger service directly to 64 airports in Canada, 57 in the United States, and 98 in Europe, the Middle East, Africa, Asia, Australia, the Caribbean, Mexico, Central America and South America. Air Canada is a founding member of Star Alliance, the world's most comprehensive air transportation network serving 1,300 airports in 191 countries. Book Air Canada flights to Toronto, Montreal, Vancouver and other exciting places! A maximum of two checked bags weighing 23 kg or less each per passenger. A maximum of two checked bags weighing 32 kg or less each per passenger. One bag weighing 23 kg or less per child/infant. Air Canada also accepts one collapsible stroller and one car seat per infant. Air Canada offers a variety of check in options, including at the counter, web, mobile and using a digital kiosk at the airport. If you are on an international flight, it is advised that you check in 3 hours before your flight’s scheduled departure time. If you are flying to a destination within Canada, you can check in 90 minutes before your flight’s scheduled departure time. Checking in online is perhaps the simplest and quickest option. Online check-in opens 24 hours and closes 60 minutes before the scheduled departure time of your flight. If you are unable to print out your boarding pass, you can opt to get an electronic boarding pass for your mobile device or get one printed at a self-service kiosk at the airport. Mobile check-in works exactly the same as web check-in, except you work through Air Canada’s mobi site. You will get an electronic boarding pass sent to your mobile device. This is a great option for those who may not feel comfortable checking in online, but don’t want to be caught up in long queues at the airport. Self-service kiosks can be used if your ticket was purchased through the internet, Air Canada Reservations, or a travel agent. Check-in starts 12 hours and closes 45 minutes prior to the scheduled departure time of your flight. Cabin classes available in Air Canada fleet are as follows. From Hollywood to Bollywood, TV to games, and music to podcasts – the Air Canada enRoute in-flight entertainment system has something for everyone. 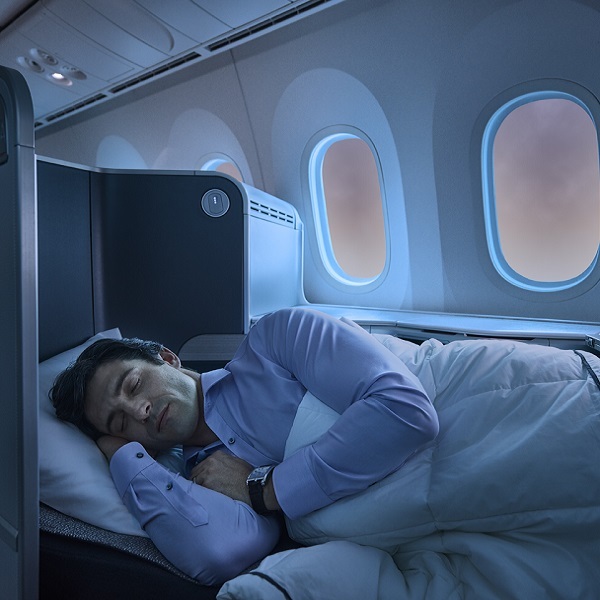 Air Canada offers the latest blockbusters, with up to 150 films, 200 TV programs and audio selections, as well as 100 music albums, playlists, audio books and podcast to choose from. Air Canada has four hubs spread across Canada. Toronto Pearson International Airport is the largest, while Montreal-Pierre Elliott Trudeau International is considered to be its corporate headquarters. The other two hubs are located at Calgary International Airport and Vancouver International Airport.